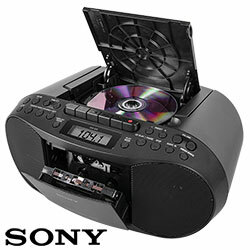 Today the quality lives on in this retro styled boombox. 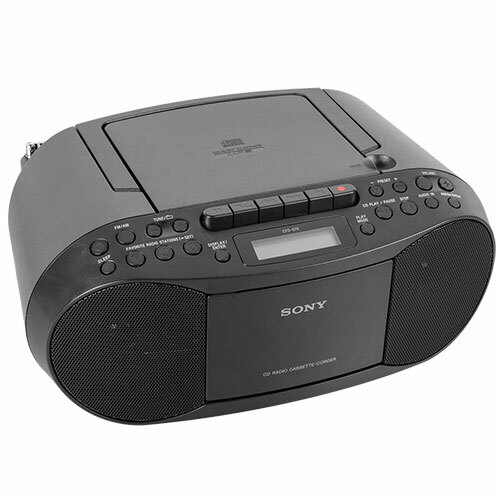 It features a top-loading CD player with CD-R/RW and MP3 CD compatibility and program/shuffle modes, stereo cassette player/recorder deck, AM/FM radio with digital tuning and 30 station presets and dual bass reflex speaker system with Mega Bass for thundering sound. Also has audio-in jack for use with your MP3 player, headphone jack, LCD display and more. AC cord (included) or 6 'C' batteries (not included). Color: Black.